Need a dessert to celebrate those special occasions, but are sick of the same birthday cakes, ice cream, and donuts? 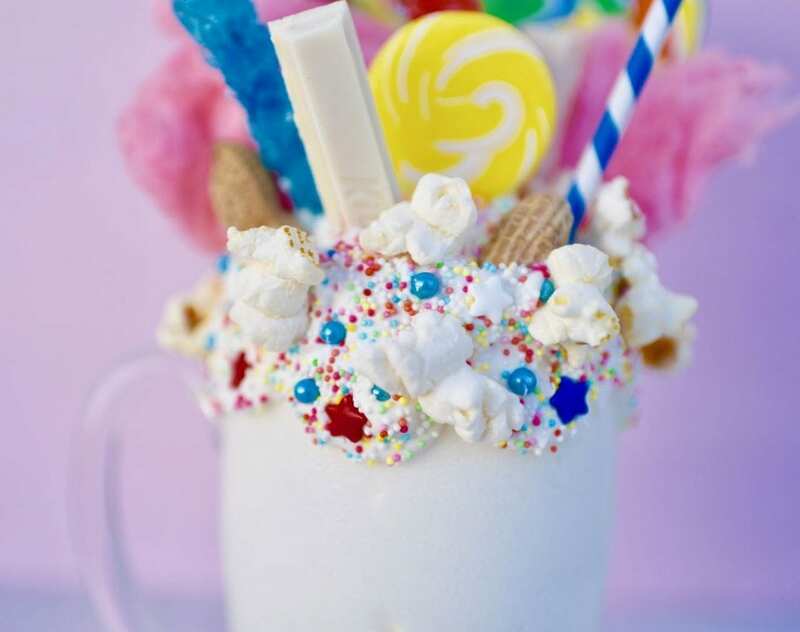 Let me introduce you to the latest trend in delicious desserts- meet the freakshake! Freakshakes are all the rage these days, and one look at one of these decadent desserts should tell you why! 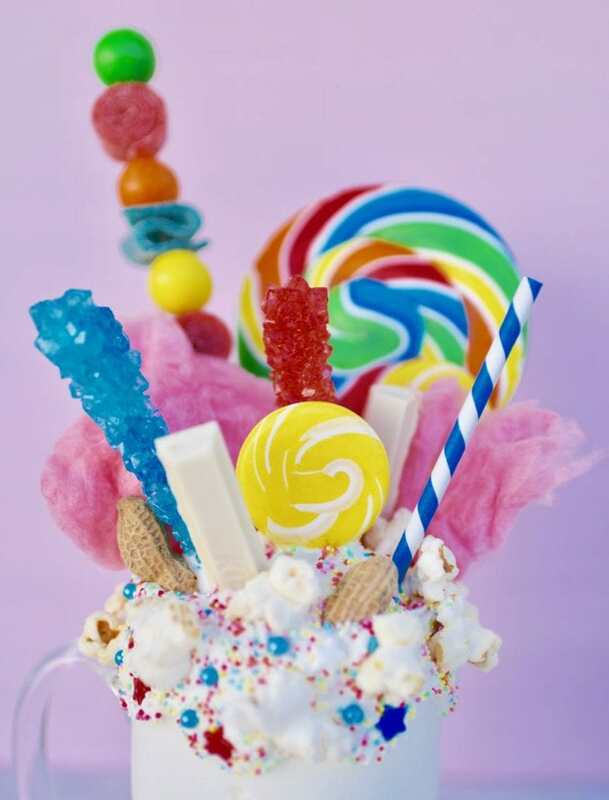 A freakshake is a milkshake that is creatively topped with whip cream, candy, chocolate, lollipops, ice cream cones, donuts, and any other sweet treat you can dream up. The more over the top the better! 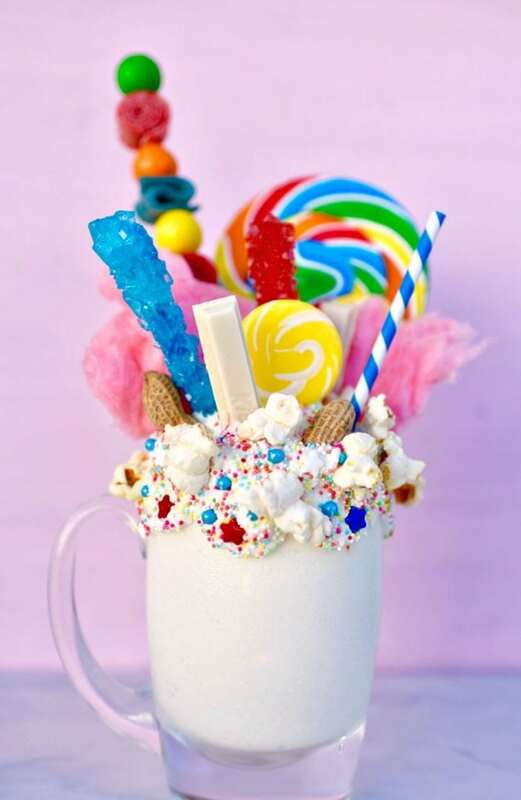 A group of my Disney-loving blogging buddies and I got together and decided to each create a freakshake based on one of our favorite Disney movies. Such a fun challenge! I chose to base my freak shake around Dumbo, the loving circus elephant who learned to fly with the help of his magic feather and mouse friend. I’ll be sharing with you how I made my Dumbo freakshake and how you can make your own freak shake at home! A decorated glass to hold your freakshake is a must. You can drip melted chocolate, caramel, or any sticky sauce that you choose down the top edges of the cup. I used melted white chocolate. Next, add sprinkles or other colorful treats to the sticky chocolate or sauce. Since my freakshake was circus/Dumbo themed, I added colorful sprinkles, star sprinkles, then pieces of popcorn. Place your freakshake glass in the fridge to harden for a few minutes. Add a few tablespoons of milk to a few cups of ice cream and mix by hand, in a blender, or with an immersion blender. Use less milk for a thicker shake, more milk for a thinner shake. I like making a thicker shake because it helps hold up all the fun toppings I like to add! Pour the shake into your decorated glass. Get creative and start adding all sorts of toppings to the top of your freakshake. Anything goes! When I think of the circus, I think of bright colors, cotton candy, popcorn, and peanuts. I topped my freakshake with whip cream and sprinkles, then added a large colorful sucker to the back of the shake as the base. My sucker stick wasn’t long enough to stay up on its’ own, so I stuck it inside a long thick plastic straw I had to give it more height and to make it stable. It worked perfectly! 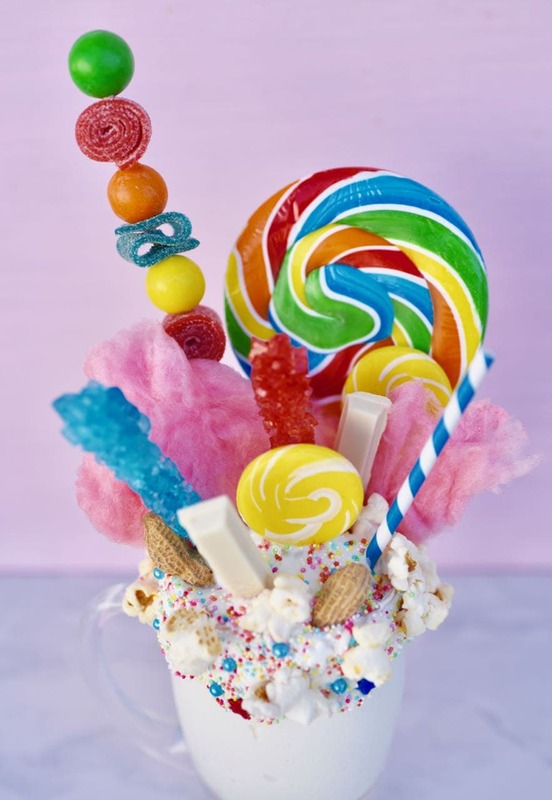 Pink cotton candy, gumballs and sour candy belts threaded on a skewer stick, rock candy sticks, yellow suckers, and a white chocolate Kit Kat were all added to make this colorful Dumbo freakshake fun and over the top. Need more freakshake inspiration? 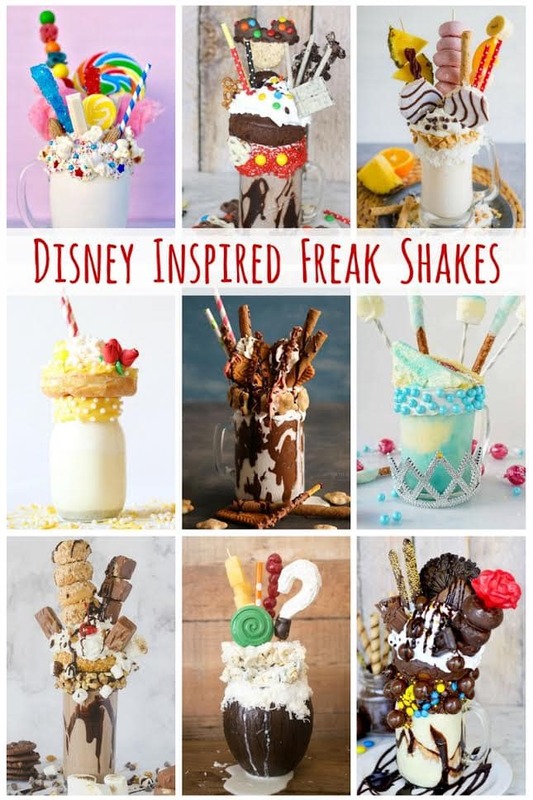 Check out these fabulous Disney-inspired freakshakes my friends have come up with! If you love fabulous treats, you’ll love these chocolate no bake cookies, Special K bars, and our edible flower lollipops. For more Disney inspiration, check out our Beauty and the Beast tea party, Disney princess royal Easter egg hunt, Star Wars Rebels party, and our Sofia the First slumber party! I love how bright and colorful this turned out!